Mental health problems like anxiety, depression, and stress aren’t always obvious. It’s too easy to assume that if someone’s life seems great on the exterior, that their emotional and mental state will match. Cheyne Kobzoff, 34-year-old from California, knows this well. Cheyne has a supportive wife, two children, and a rewarding job as a chef. But he also has anxiety. And only recently did he admit to himself that he was struggling with alcoholism too. Thankfully, over the course of a year, Cheyne made two simple changes to his lifestyle and ended up being healthier, thinner, and — finally — being truly happy. On March 22nd, Cheyne Kobzoff shared a victorious post on Reddit (using his Reddit username Klamsykrawl), saying “One year of no alcohol has changed my life. I lost 53 pounds and I’m 1000 times happier”. Kobzoff says in an interview with Vice that alcoholism runs in his family; drinking had been a part of everyday life for him since he was 15 (1). He had used alcohol as a form of self-medication for his anxiety, but he knew things just weren’t working. He planned on quitting for over a year until March of 2015, when he finally set a date and quit drinking cold turkey. From that day on, he used running to deal with anxiety instead of alcohol. 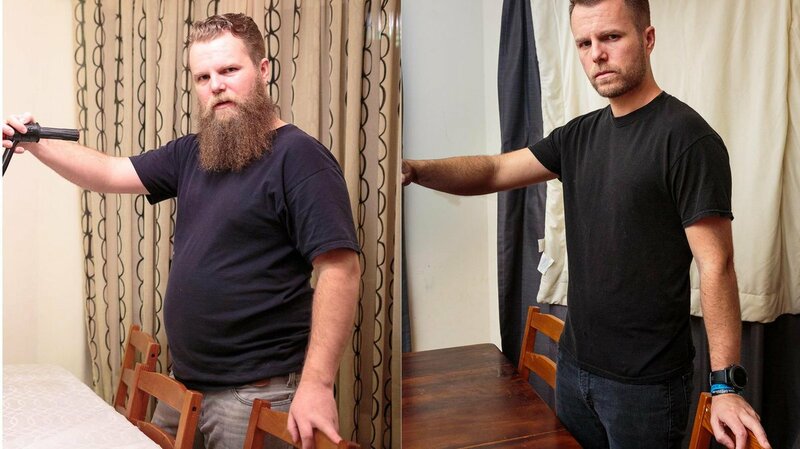 He started a “Couch to 5k” program to help him stay consistent, and despite a temporary setback due to an injury, within 10 weeks he could manage a 5km run in 25 minutes. Since then he’s been adding strength training to his regular fitness routine. After 1 year of being sober and active, he lost 53 pounds! Why Does Alcohol Make You Gain Weight? Alcoholic drinks can be often overlooked as sources of bloating and weight gain — many people cut out unhealthy food sources first before realizing the full impact of their beverage choices. But unlike protein, carbs, and fat, your body can’t actually store alcohol — this makes metabolizing it the number 1 priority once consumed (setting other metabolic processes aside, so to speak) (3). About 20% of alcohol can be absorbed from your stomach into your bloodstream, which enters the brain (creating that woozy feeling). The other 80% travels to your intestines where it is slowly absorbed. Your liver is responsible for metabolizing all the alcohol in your body, and there is no way to “sober up” faster than your liver can work (3). So what? Michael Jensen, MD and endocrine expert, explains, “In general, alcohol intake is associated with bigger waists because when you drink alcohol, the liver burns alcohol instead of fat” (4). That’s where the infamous ‘beer belly’ comes from. Alcoholic drinks can also have a very high calorie count, which, coupled with a sedentary lifestyle, can result in weight gain pretty quickly. Moreover, some studies have suggested drinking alcohol can increase food cravings and make you overeat (3).